It’s just a jump to the left, and then a free midnight streaming of The Rocky Horror Picture Show to the right. So if your version of Halloween mayhem is locking the door, lowering the blinds and pretending not to be home, now you can pass the time with a screening of the best damn thing to come out of 1975 (or was that Queen’s A Night At The Opera?) — Tim Curry slaying it as Dr. Frank-N-Furter, Susan Sarandon discovering her bad side as Janet (dammit) and Peter Hinwood’s perfect gold booty shorts. 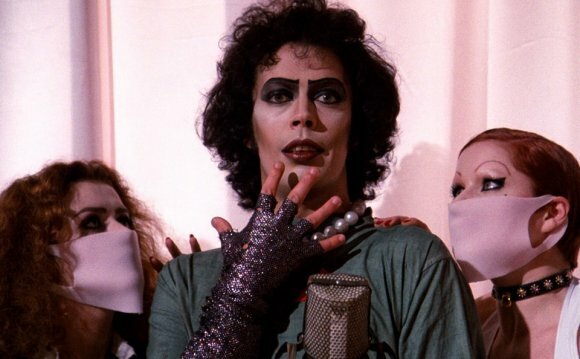 HBO Now, the standalone streaming service that lets you enjoy Justin Theroux’s bulge without having to deal with that pesky cable bill, will be live-streaming Rocky Horror at midnight eastern time on Saturday. If you don’t have a subscription, you can log in with a free guest account that’s good for 30 days, more than enough time to binge watch all five seasons of Six Feet Under. The event also lines up with the films 40th anniversary, and fans are encouraged to dress up as their favorite characters and to think creatively about how they can translate the film’s iconic participation cues for social media. FREE ROCKY HORROR PICTURE SHOW ULTRAVIOLET CODE!!!! !